United States Permanent Representative to the UN Nikki Haley resigned. The reasons for this decision have not yet been announced, and the exact date of the completion of Haley’s powers is also unknown. Portal Axios reported, citing its sources, that US President Donald Trump accepted Hayley’s resignation. The White House has not yet confirmed this information. US Permanent Representative opposed the annexation of the Crimea at the UN. Her position on Russia did not always coincide with the position of Washington. Nikki Haley often criticized the policies of US President Donald Trump. She became US envoy to the UN on January 27, 2017. Nikki Haley earlier stated that anti-Russian sanctions should be in force until Russia returns control over the Crimea to Ukraine. 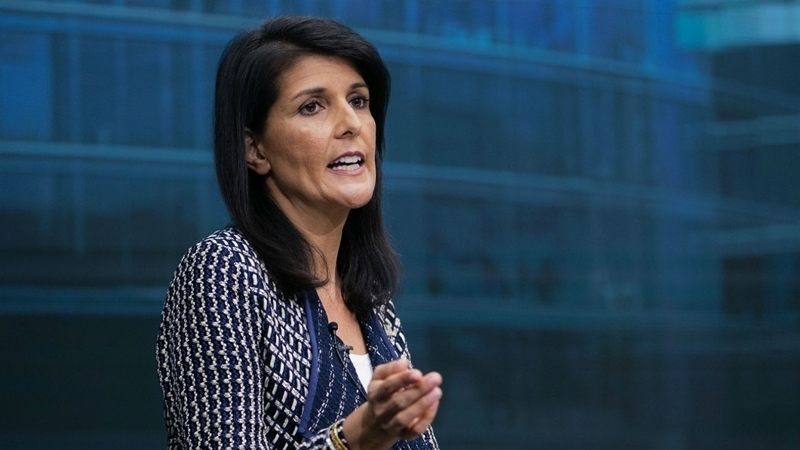 Speaking to students at Duke University in North Carolina, Haley said that both the United States and the United Nations were inactive while Russia occupied Crimea. Haley noted that "the UN stood and watched when Russia for the first time after World War II violated the borders of Europe and invaded the territory of Ukraine." Haley is also known for stating that the United States will never be friends with Russia. However, according to her, this does not mean at all that the United States will not work with the Russian Federation.